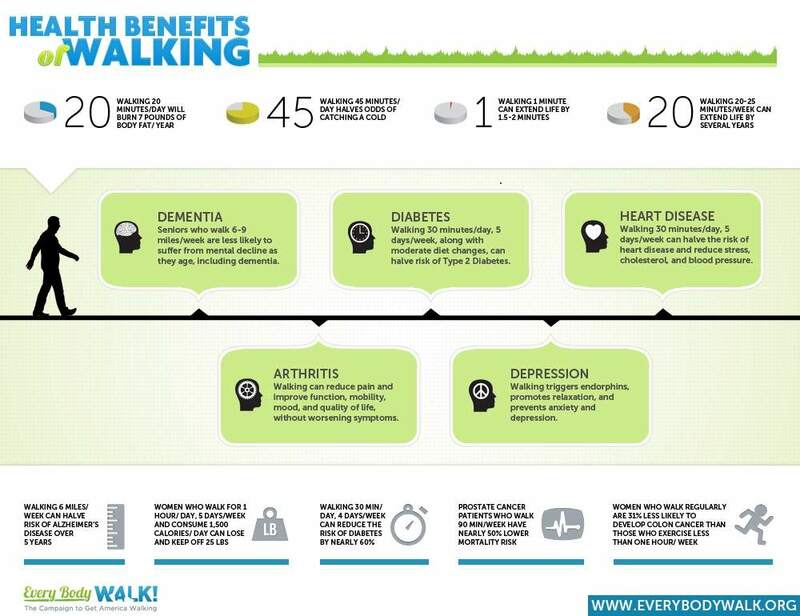 Walking is one of the easiest ways for anyone to stay active each day. With the weather starting to warm up, now is the perfect time to lace up your shoes and take some time for a little outdoor exercise. Even better? It’s easy to get your daily recommended 10,000 steps in by just getting up from your desk more often, parking a little farther from the building or taking the stairs instead of the elevator. I flew down to Orlando this morning to hang out with the family for a few days and celebrate my uncle’s 60th birthday. The parents and I were walking around the park across from our hotel earlier, and stumbled upon this gem…yes, he is walking holding weight plates. Where he found them – and why he decided they were appropriate for his walk – I’m not sure. Regardless…enjoy! How Did a Short,Easy Walk Turn into Almost Two Hours? This is the question I asked myself last night, as I was walking back into my apartment building, glad that I made it back before dark. Fridays are usually my off days, but it was one of those weeks, I was stressed out, feeling a little antsy, and the weather was absolutely beautiful, so I decided I’d go for a nice, easy little walk. At least that was my intention. I live in a pretty urban area, but once you get a half a mile or so from the main road I live on, it turns into more of neighborhood. I’d walked and run back there before, and while there are some steep hills, there are also a lot of nice flat roads, so it would not be a challenge to keep things leisurely. Until I took a turn I haven’t taken before, and ended up I have no idea where (but it didn’t strike me as a neighborhood I should be in with dark quickly approaching). So, here’s the thing … I’ve always had an exceptionally good internal compass. Though I don’t like driving places I’ve never been before (or in big cities … let’s just say that the Metro is the most phenomenal creation – very rarely have I had to actually drive into DC), I can usually find my way around. On more than one occasion, I have just taken three random turns and ended up exactly where I was trying to go. Long story short … my easy, couple mile walk turned into nearly two hours. 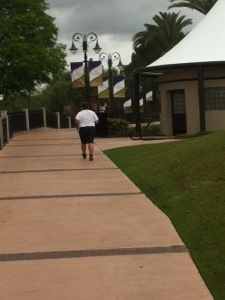 But I guess a little extra walking never hurt anyone, right? You Don’t Need a Gym to Get in Shape…Get Outside! One of the biggest excuses out there for not exercising is lack of gym access. I’ll say it – that’s a bunch of crap. Now that spring is upon us (at least in my part of the world), there are even more opportunities for you to get outside, enjoy the fresh air – and get a workout in, too. So, what kind of options do you have? On the most basic level, you have walking and running. The only thing you need to have to get started on either of these are a good, quality pair of running or walking shoes – and the recent “barefoot running” movement may even convince you that you don’t even need those (it’s kind of controversial, and there are arguements on either side of the issue – but at the end of the day, it’s really up to you. If you do decide to go barefoot, remember that the most important part is starting SMALL. Some of us – i.e. me, right after I started teaching Piloxing two days in a row each week – can easily end up injured and moving in the wrong direction). Find a bench for pushups, planks, tricep dips, step-ups or box jumps. Take on the monkey bars – you can do pull-ups or leg raises. You can do more than just swing on the swings – they’re also great for split squats, planks, push-ups, and a variety of abdominal exercises. Stairs in your park or playground? You can run them, do push-ups, planks, lunges, triceps dips or split squats. The biggest key is to get creative! You can run or walk, play hopscotch, do jumping jacks, throw a ball around – anything that will get your heart rate up will make for a great outdoor workout.